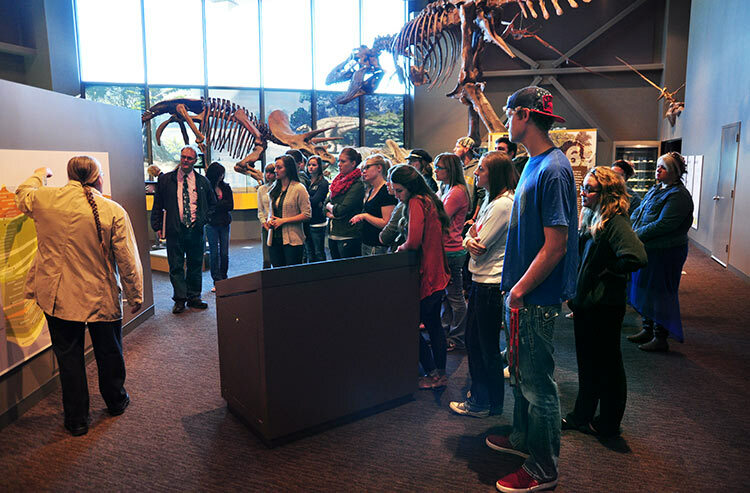 The sophomore Graphic Design and Communications students took a tour of the Heritage Center to learn about the planning and creation of exhibits. 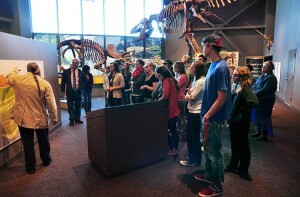 Erik Holland guided students through the facility and explained how and why the pieces were planned and created. Holland’s approach will help the students with their own display project. The sophomores are currently in the planning stages of updating two display cases outside of the classrooms. 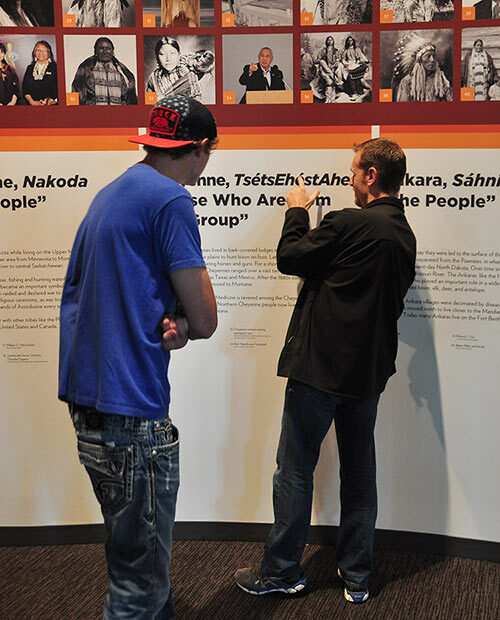 Erik Holland explains some of the basic concepts involved in planning a display. Sean Thorenson points out text nuances to Tanner Aasen in an exhibit at the North Dakota Heritage Center.